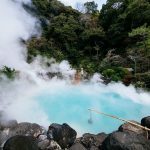 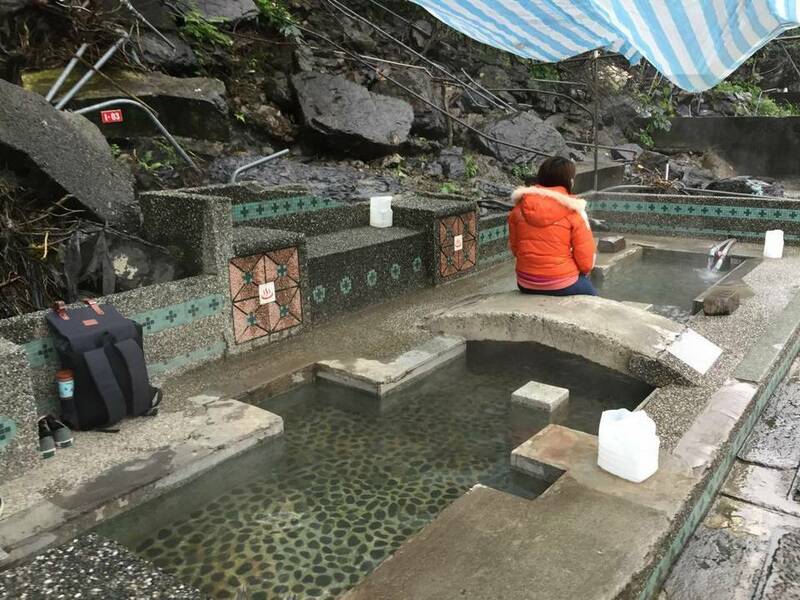 Taiwan hot springs (Taiwan onsen) — Explore top 7 best hot springs in Taiwan - Living + Nomads – Travel tips, Guides, News & Information! 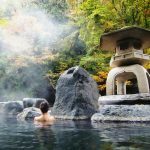 Summer is nearly over, autumn and winter are coming. Taiwan’s cool weather is perfect for a trip to the hot springs. 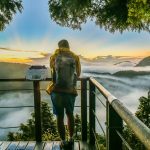 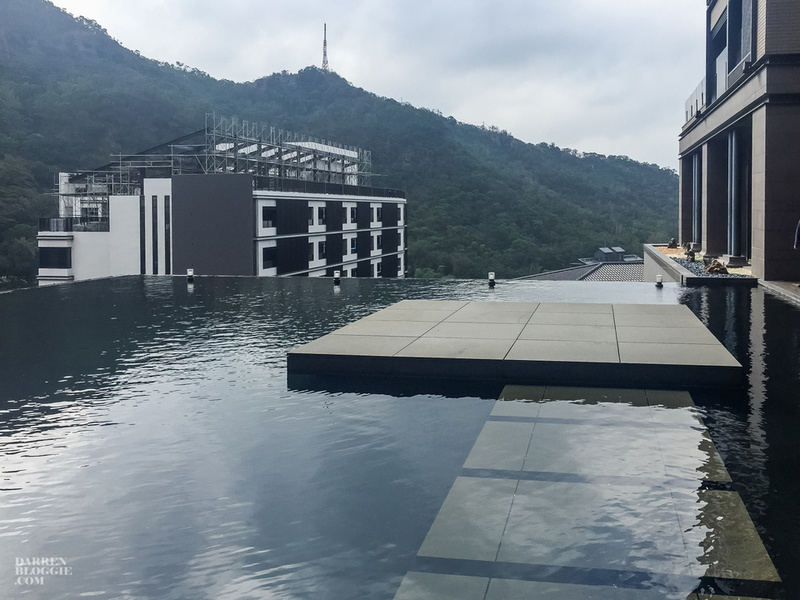 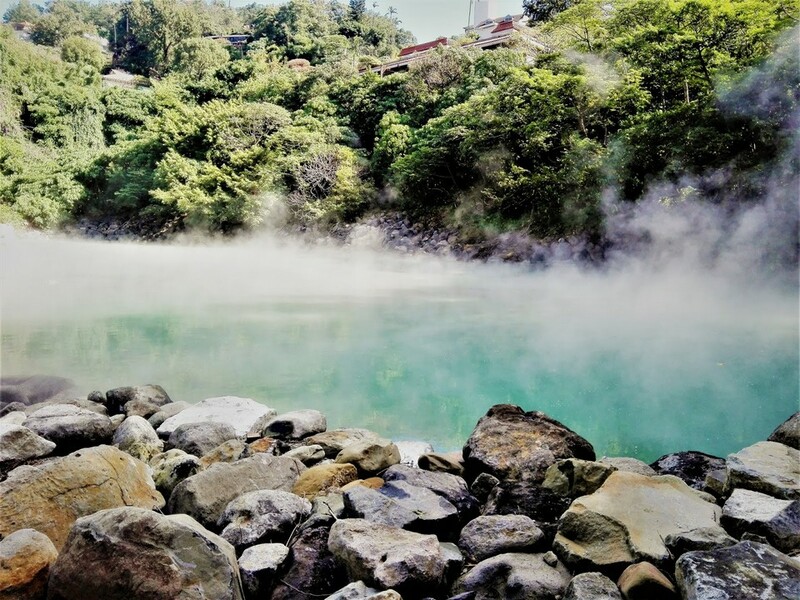 The feeling of being immersed in the hot water while beholding the stunning view around is so special that you should not miss when traveling to Taiwan. 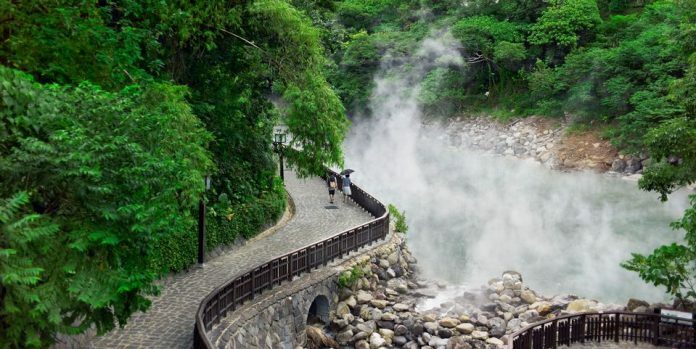 If you are planning to go to Taiwan, let’s take a look at these amazing hot springs that promise to give you one of the best experiences ever. 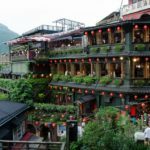 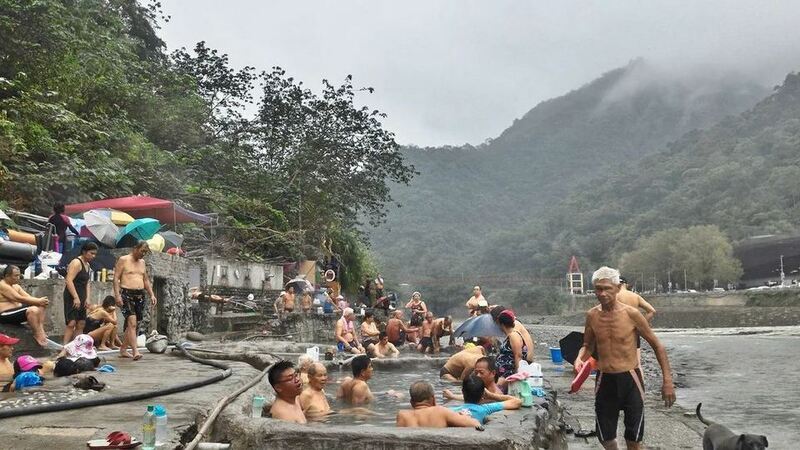 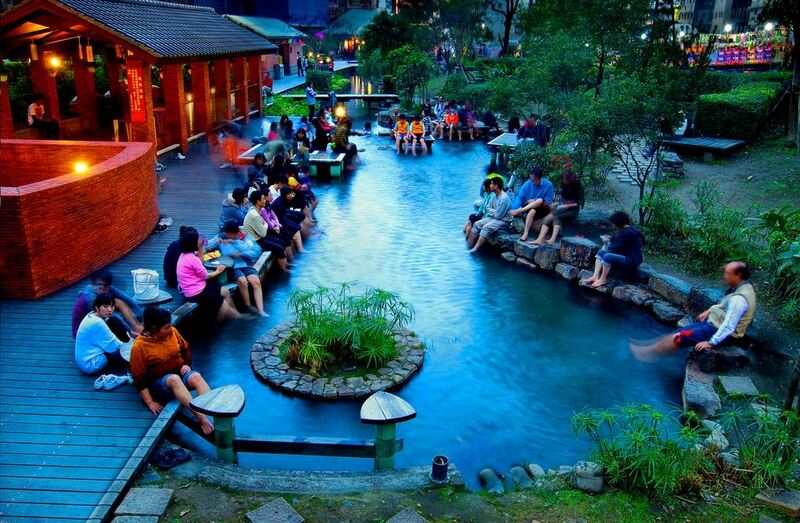 Now, let’s discover Taiwan hot springs (Taiwan onsen) with top 7 best hot springs in Taiwan (best onsen in Taiwan) including natural hot springs Taiwan, Taiwan hot spring resort, best hot springs in Taipei and some useful tips when bathing in hot springs in Taiwan below. 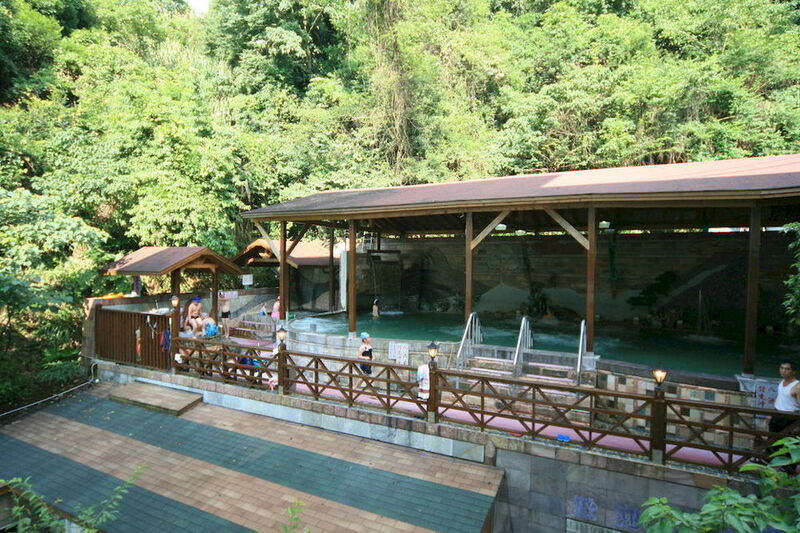 Wulai hot springs. 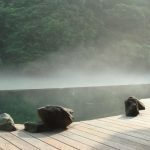 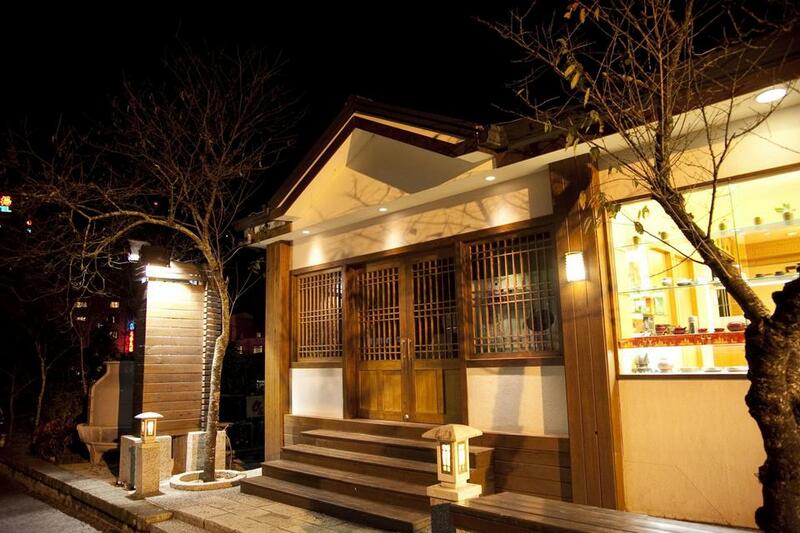 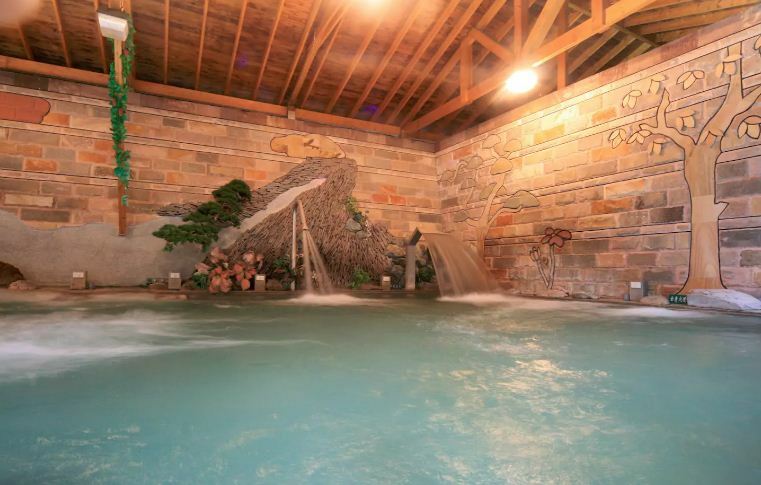 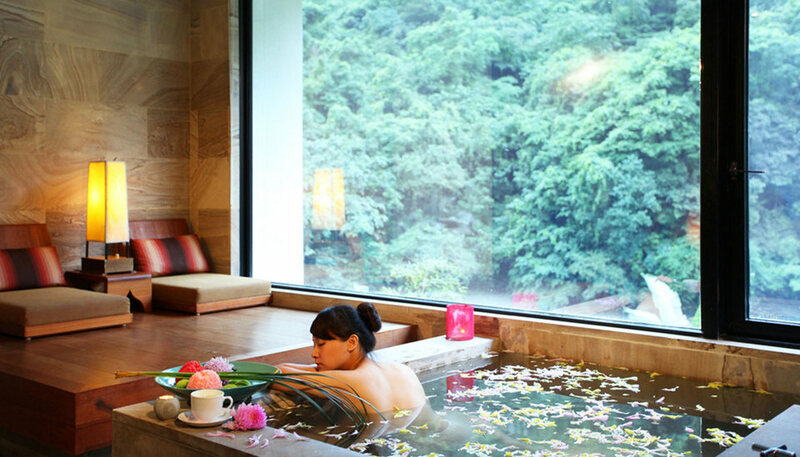 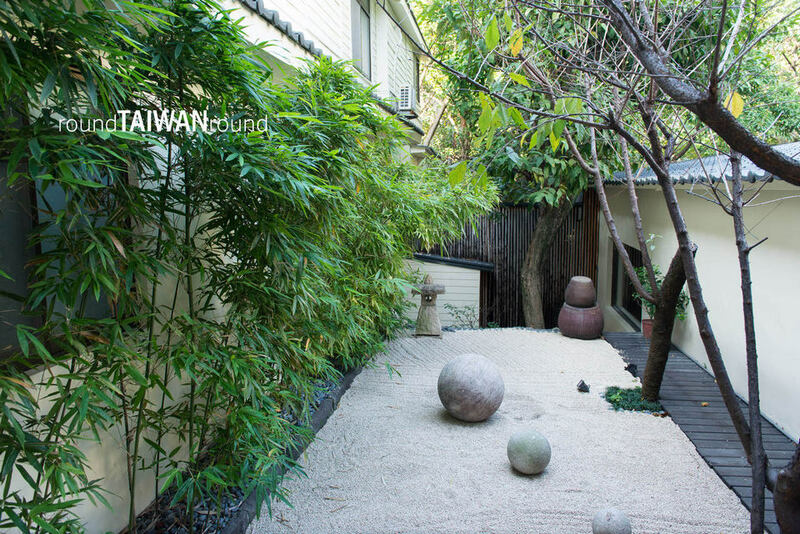 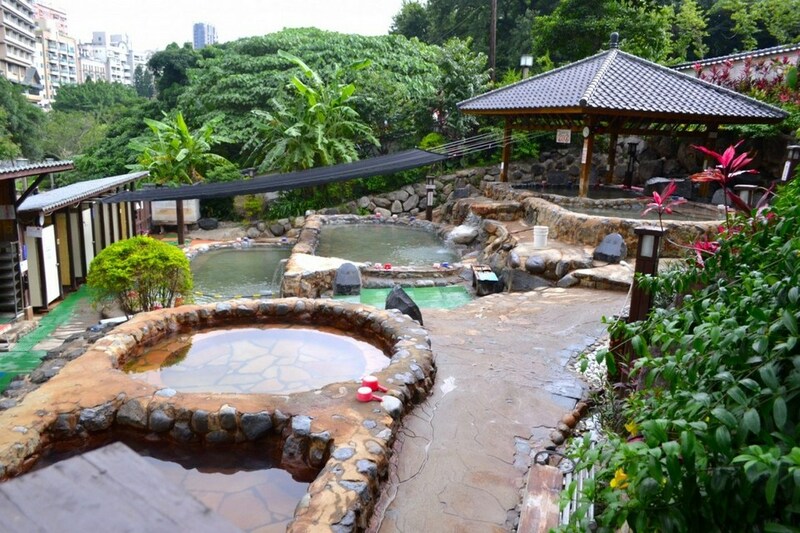 Picture: best onsen in Taiwan blog. 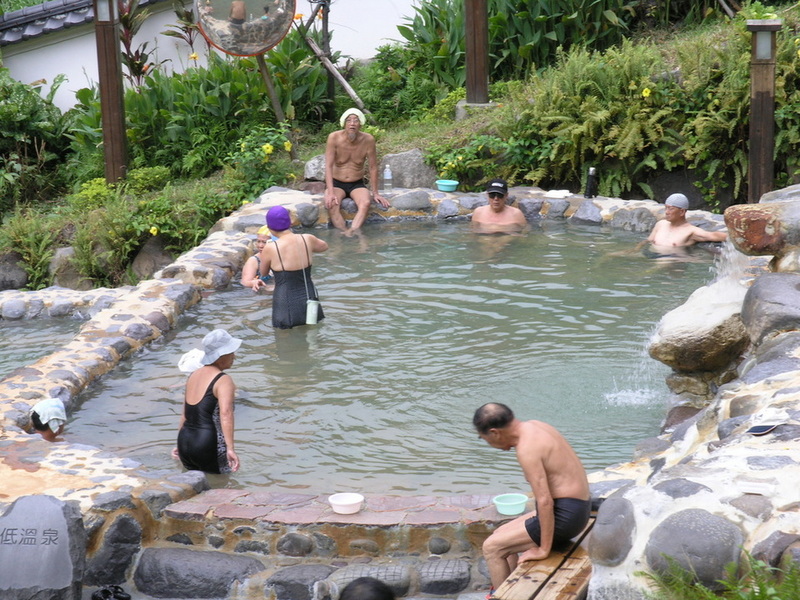 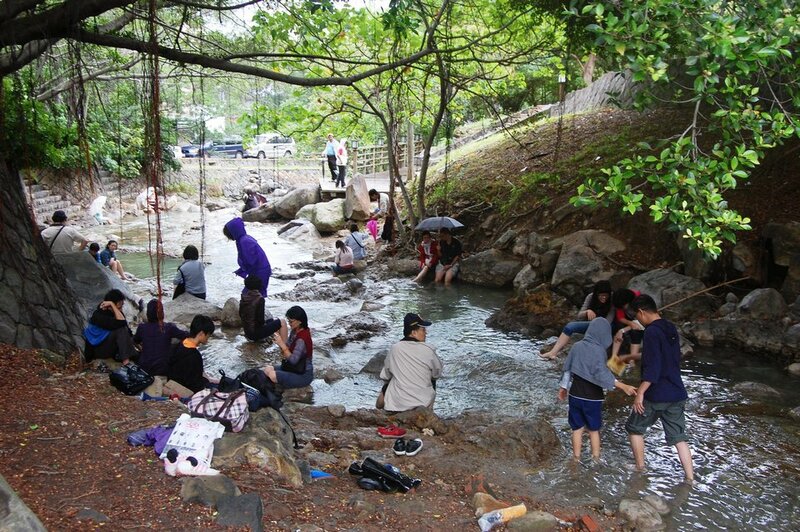 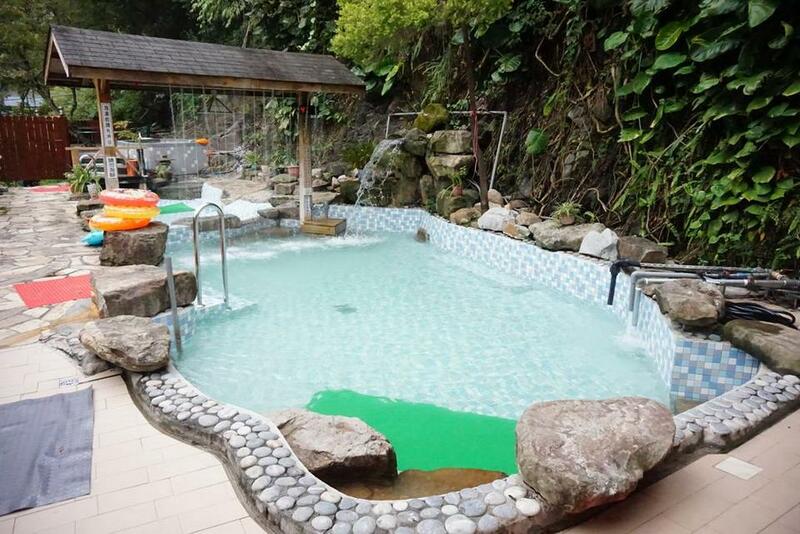 Credit: best hot springs in taiwan blog. 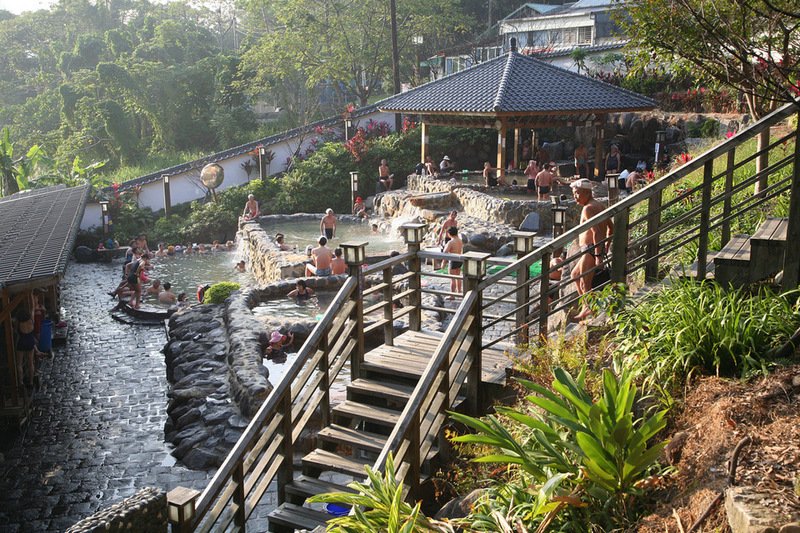 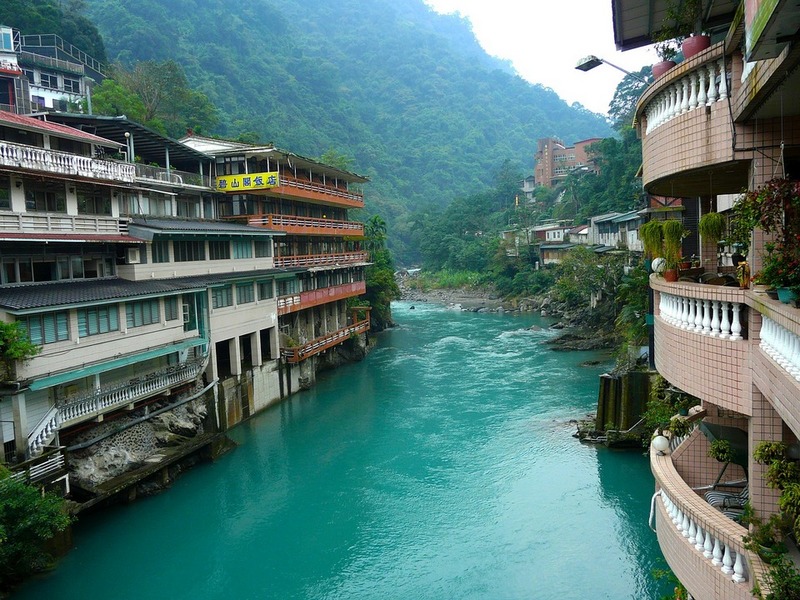 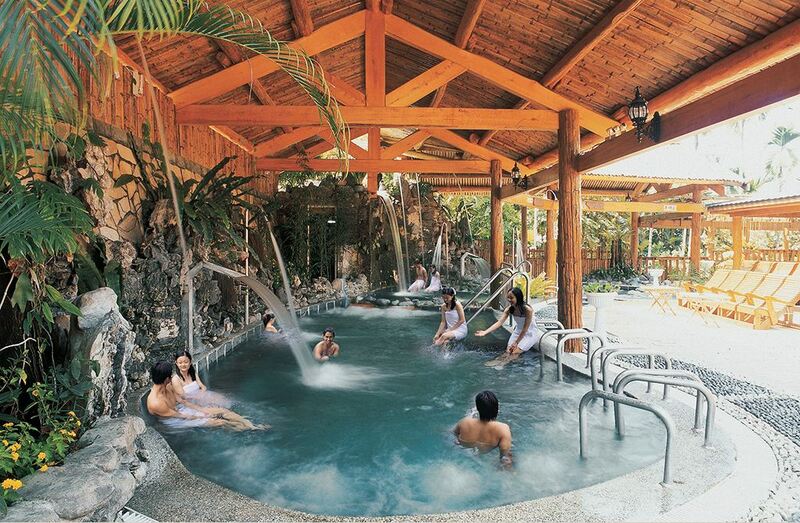 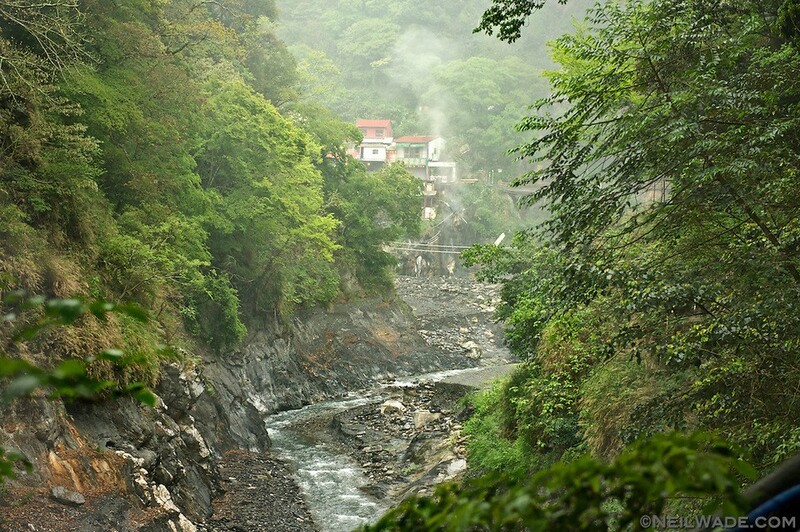 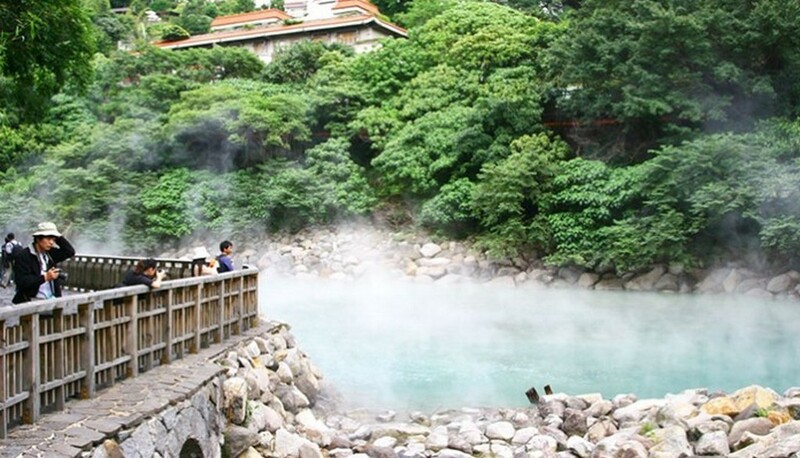 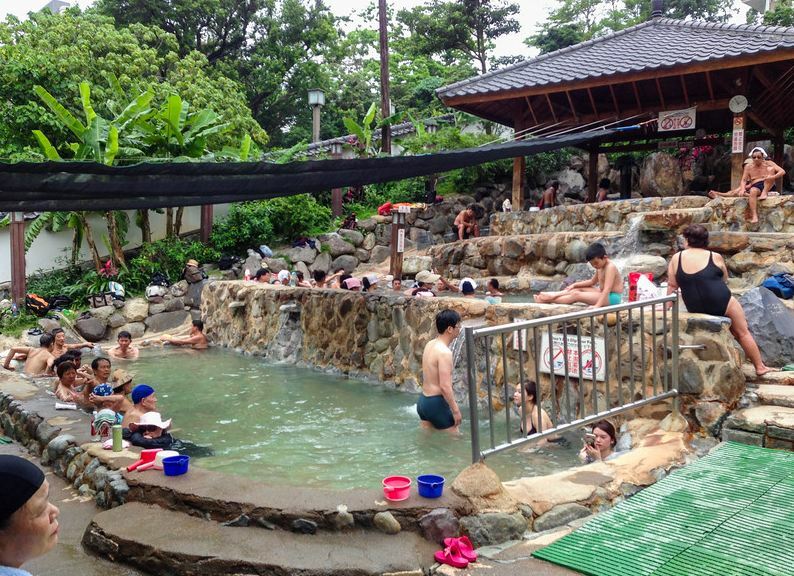 XinBeitou is probably the most famous hot springs in Taiwan, located just outside of Taipei. 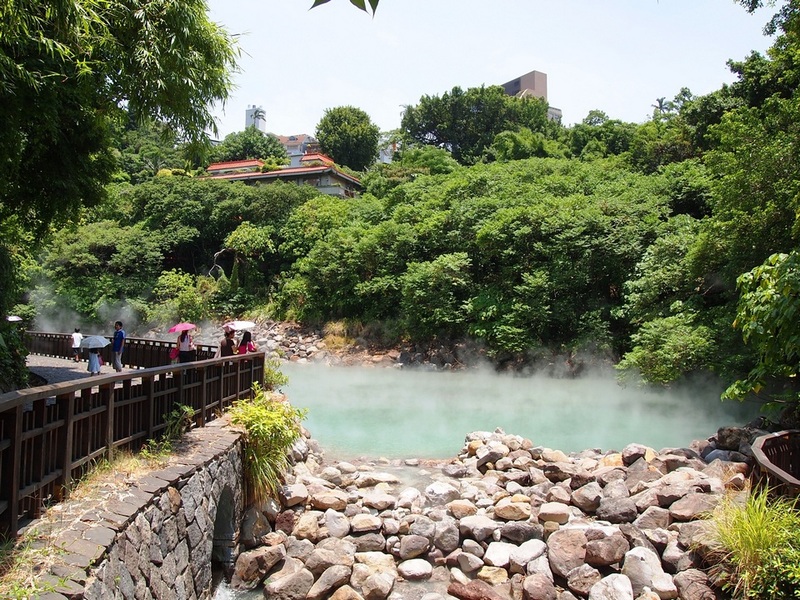 During the Japanese occupation, the surrounding area of the Beitou Hot Spring was built into high-end resorts and tea rooms and public baths for the crowds. 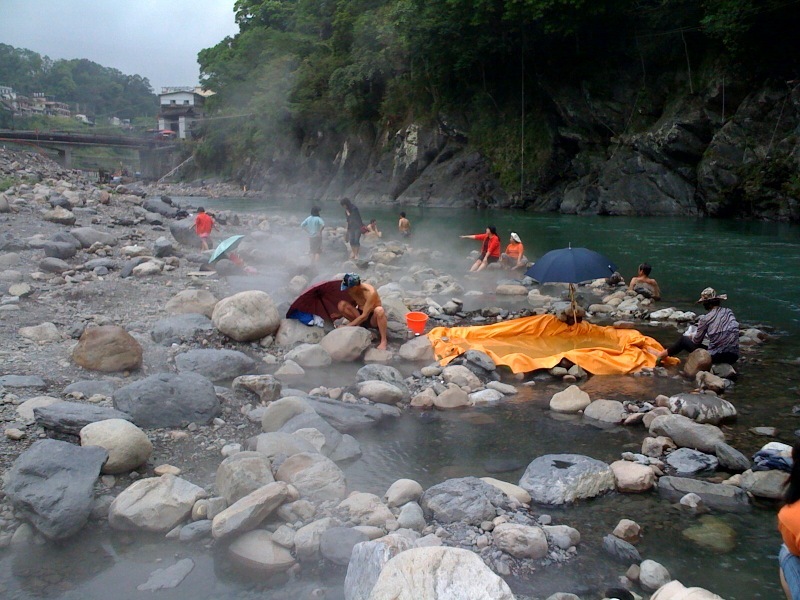 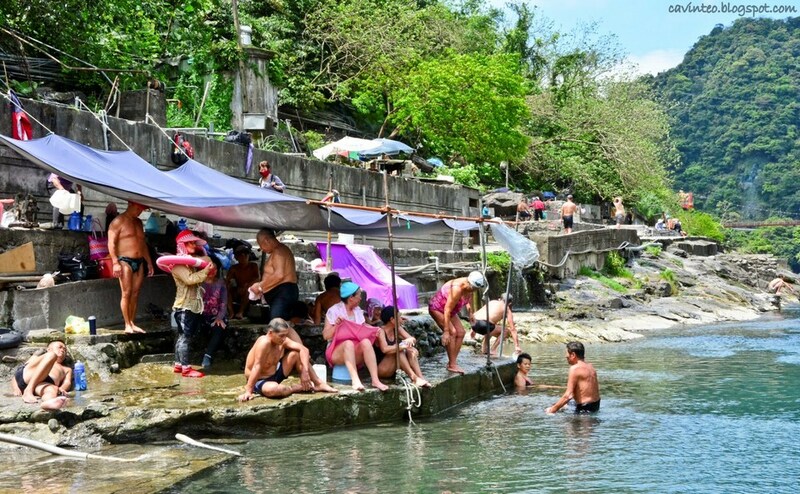 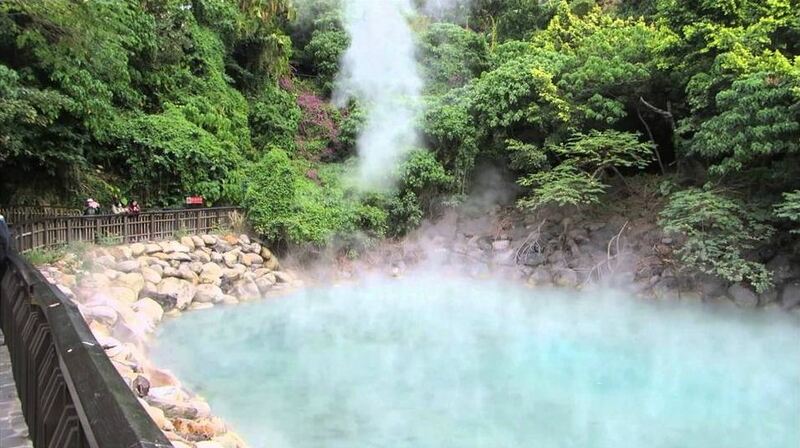 Natural hot spring water rises from “Hell Valley” in Taipei. 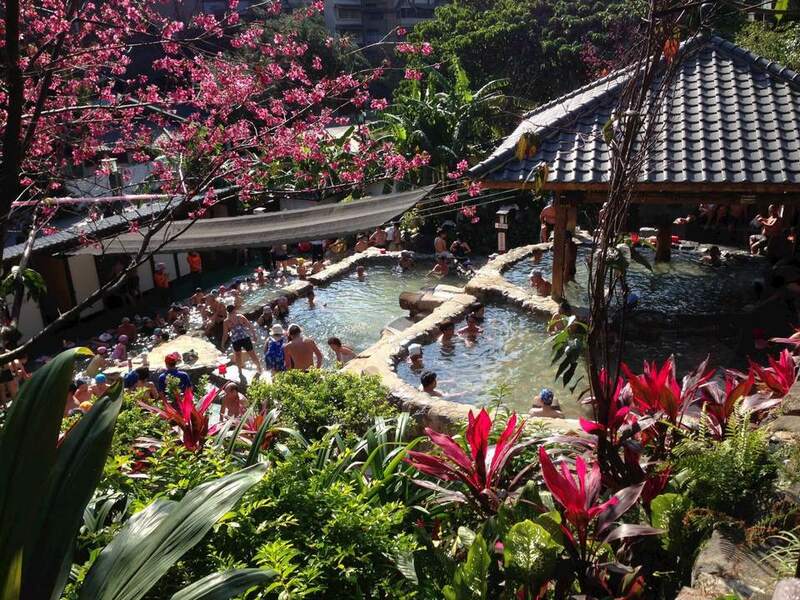 Picture: best onsen in Taiwan blog. 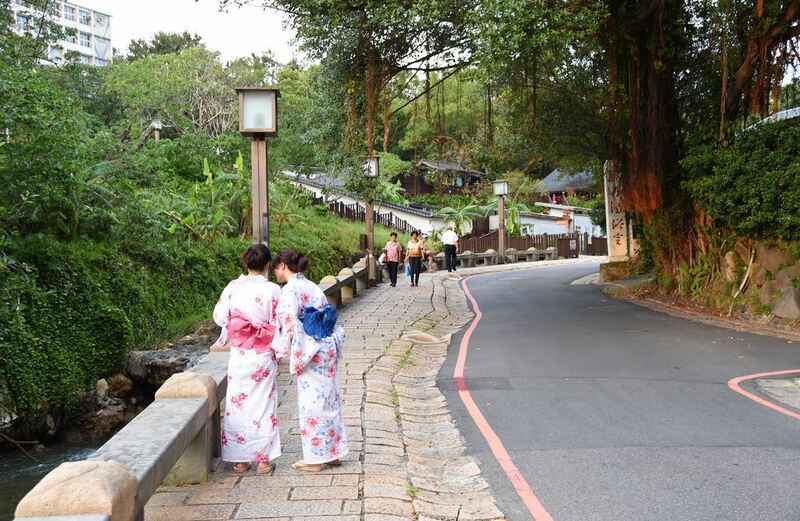 What makes Beitou standout is it still retains the Japanese ancient architecture. 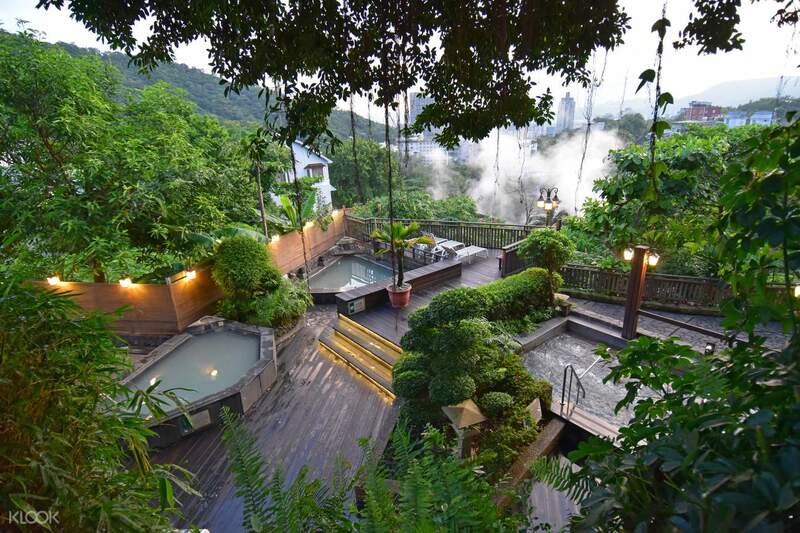 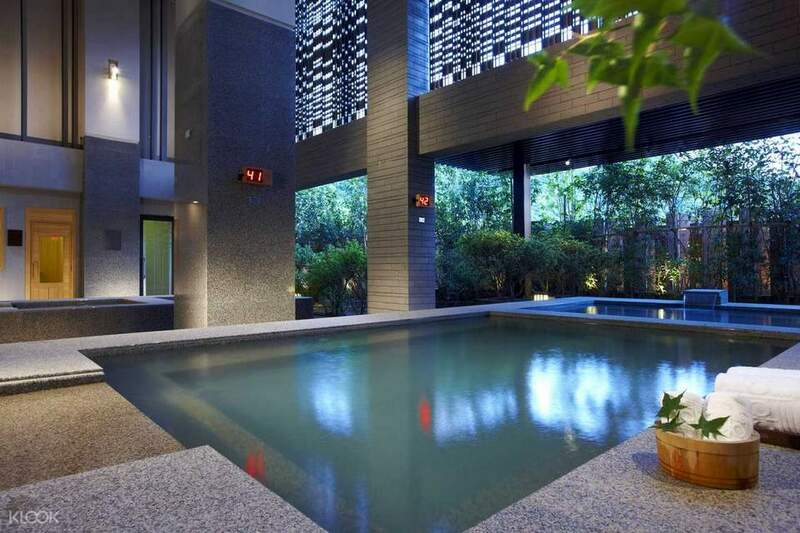 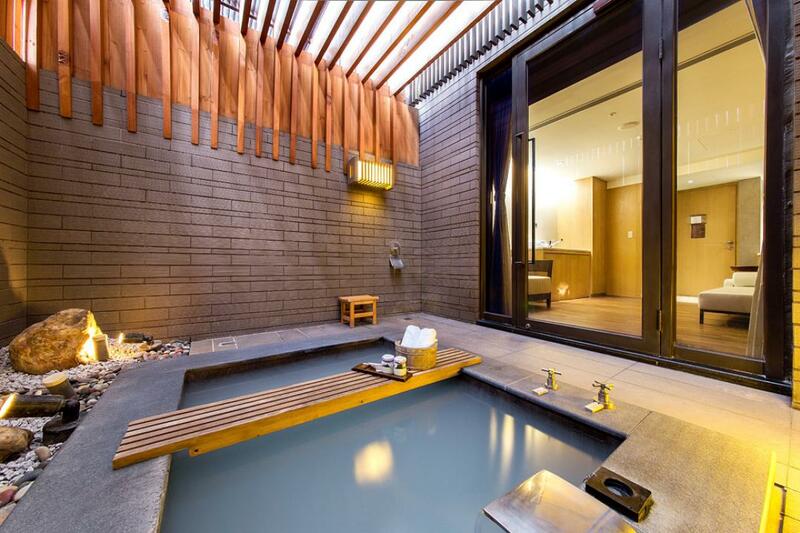 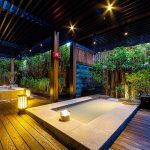 In addition to some public baths, there are also hotels in Beitou that provide private bathroom facilities for those who would like to have their own private relaxation. 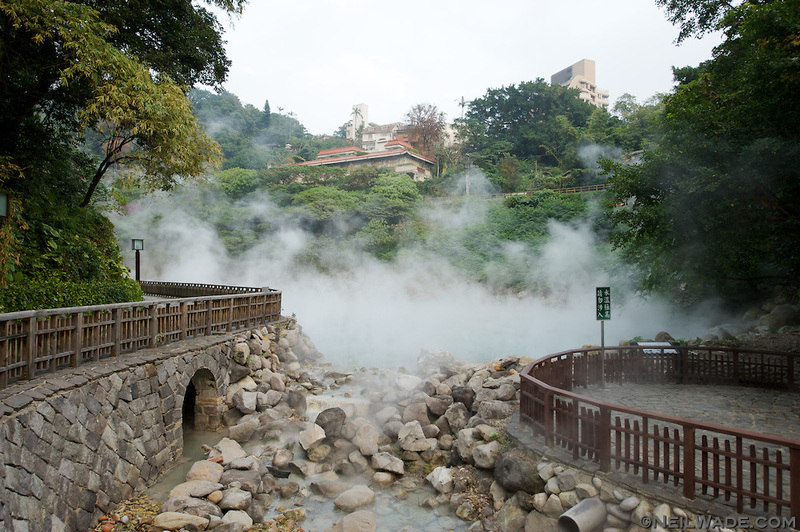 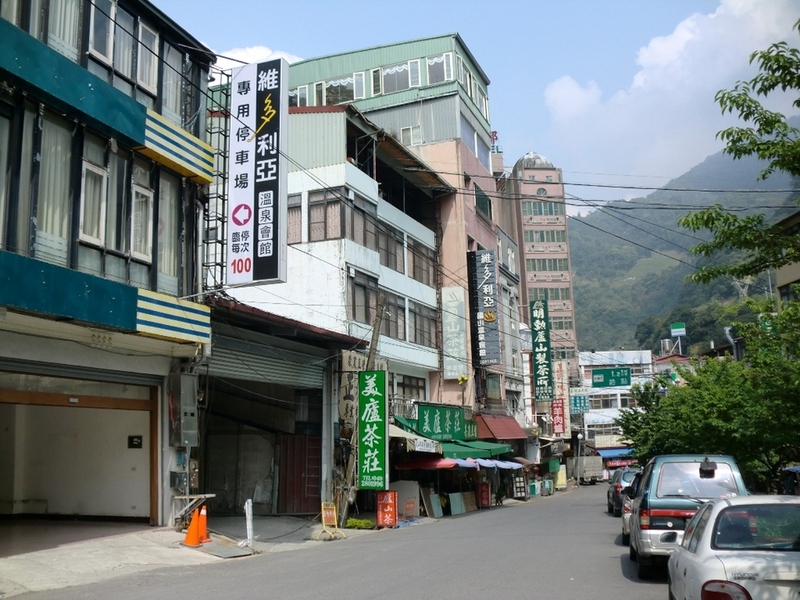 How to get there: Take the MRT line 2 to get to the Beitou Station (北投). 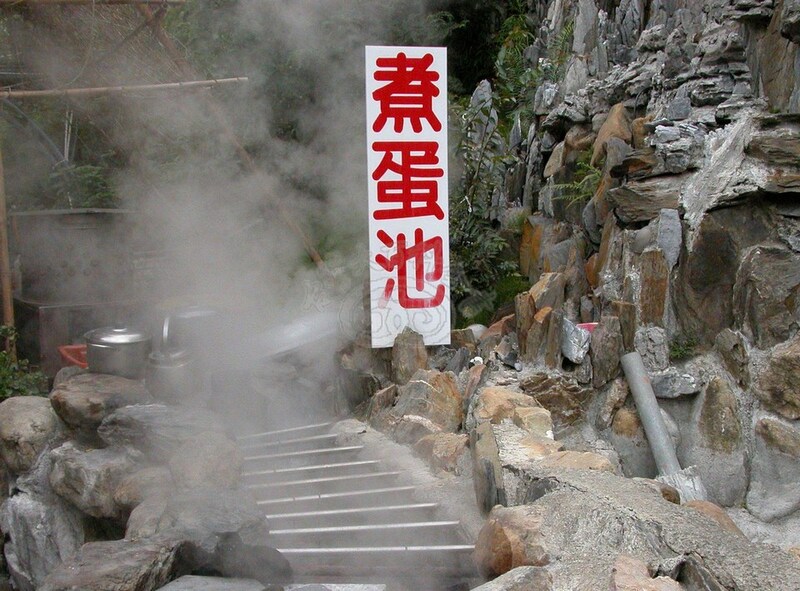 At the entrance, you will see information on attractions, public bath for reference. 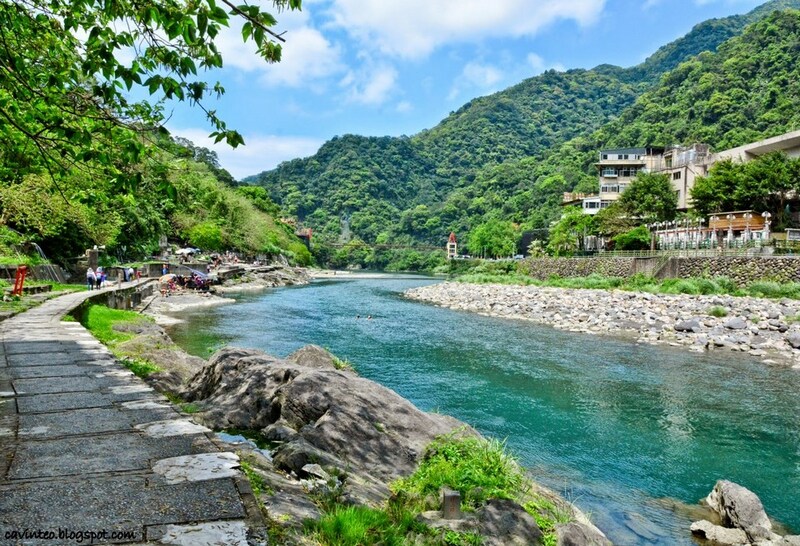 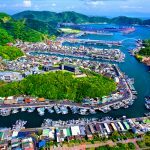 Unlike Xin Beitou, Wulai is a small town located on the outskirts of Taipei- which is a familiar place for Taiwanese families to spend their weekends. 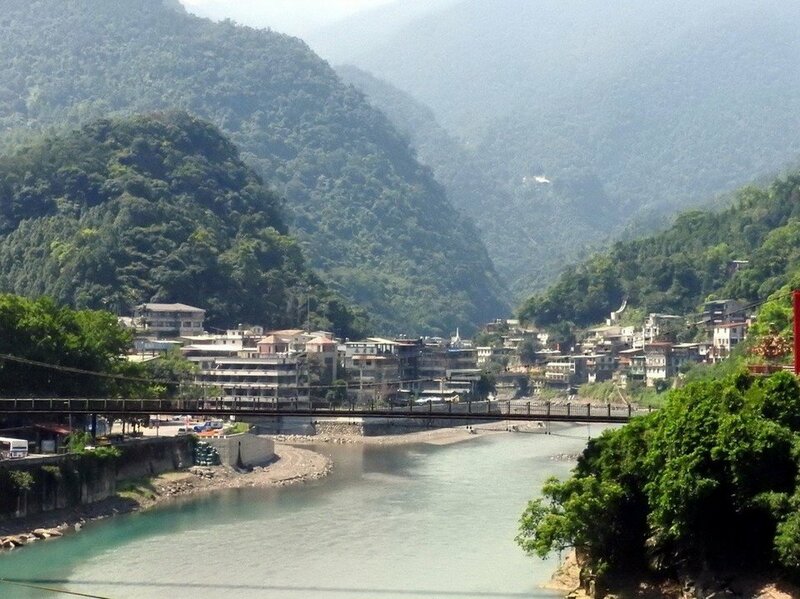 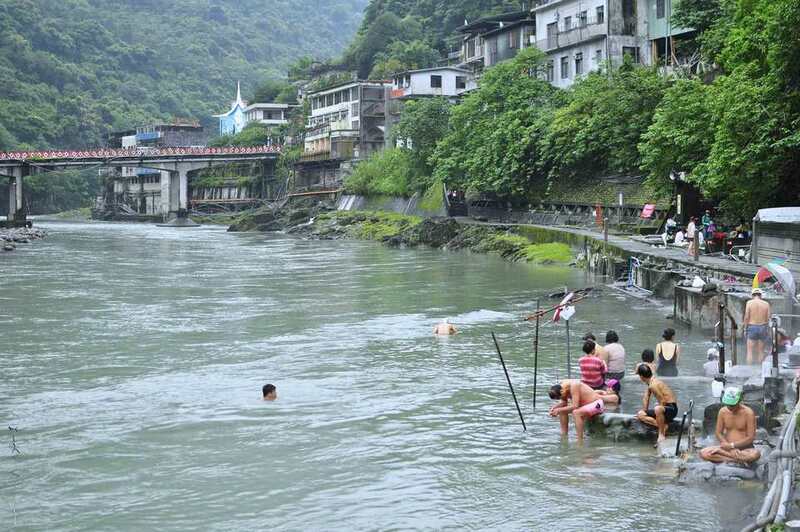 Wulai is located along the Nanshi River beside the mountain with fresh air and comfortable atmosphere. 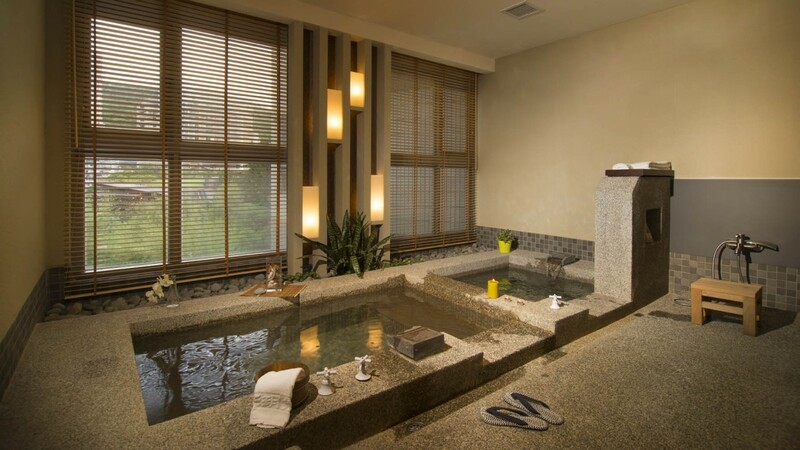 Overnight guests can find themselves rooms with private bathrooms in the resorts, riverside hotels. 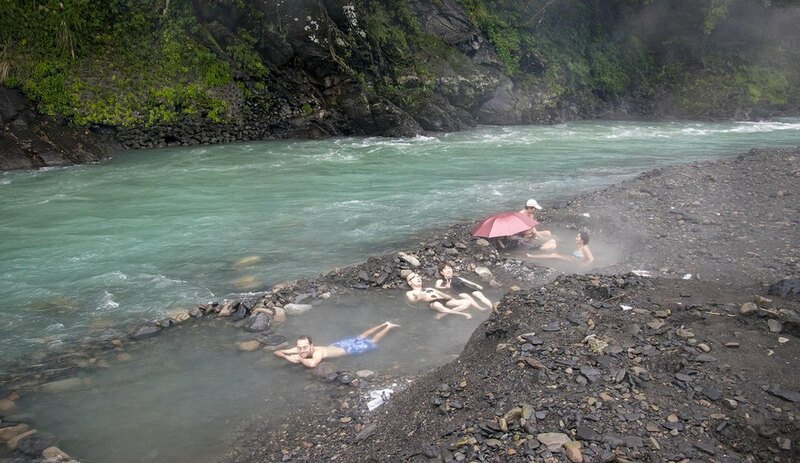 What is more refreshing than soaking yourself into the hot mineral water while looking at the blue river below?. 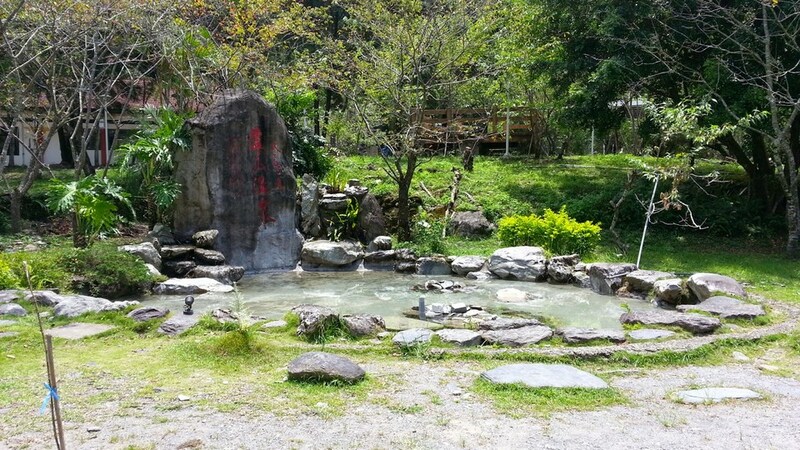 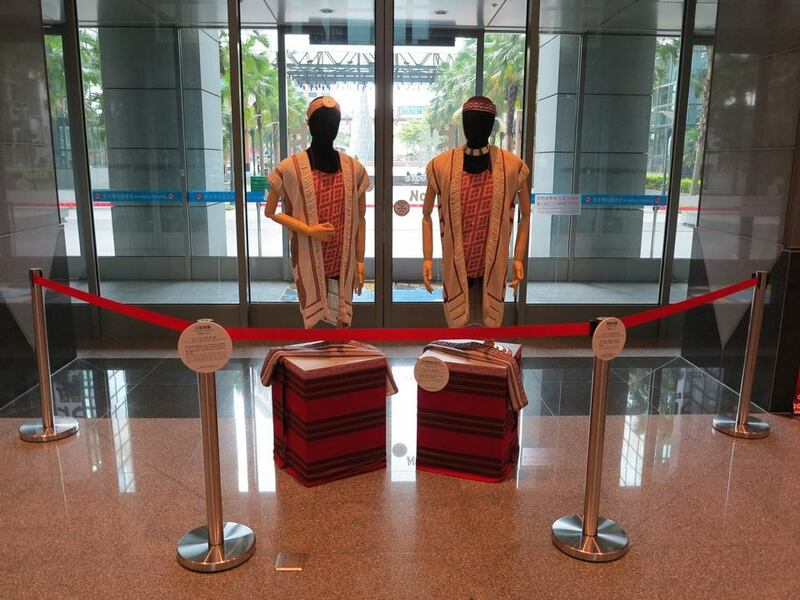 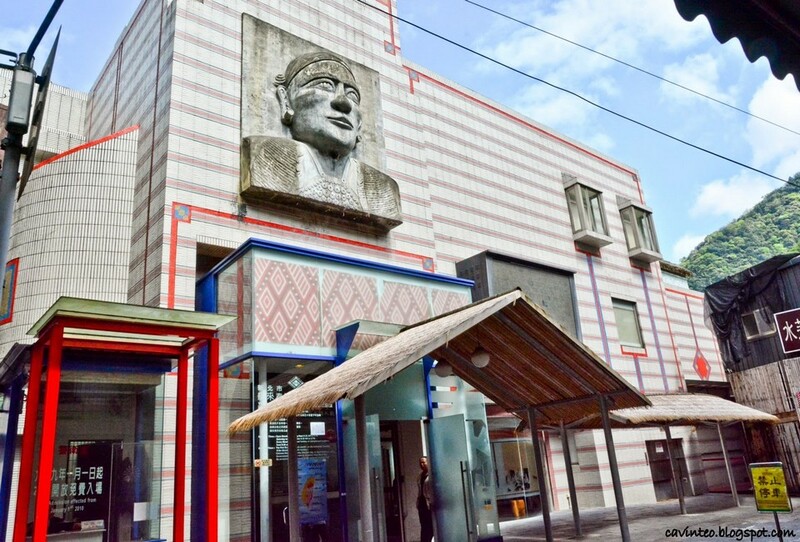 In addition to hot springs, for those who like to explore culture, Wulai also has a museum displaying information about the Ayatal tribe – a longtime ethnic group in Taiwan. 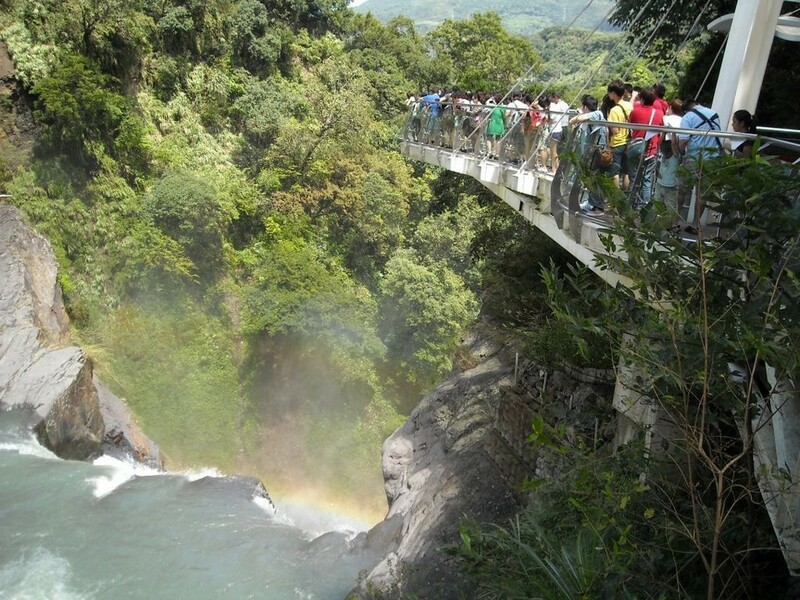 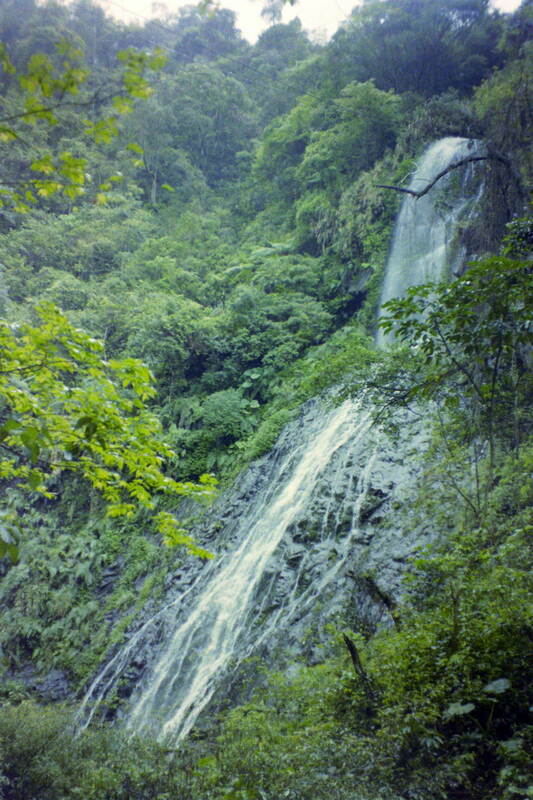 You can also take the cable car up the mountain to visit the fascinating Wulai Waterfall. 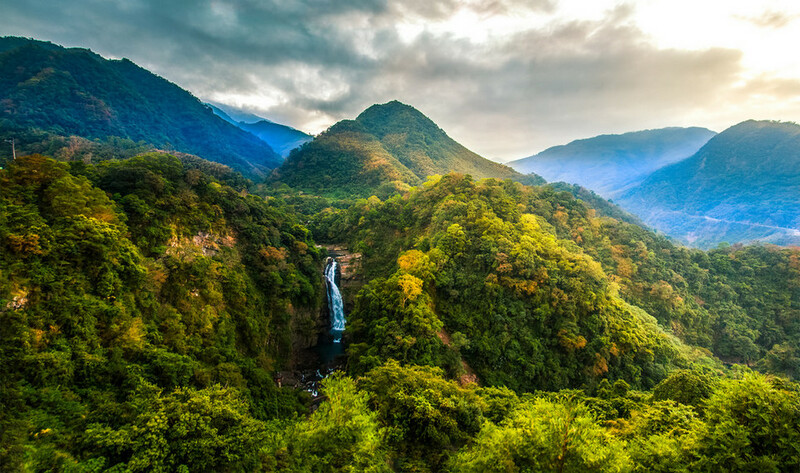 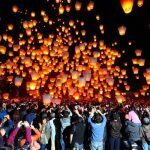 Address: Wulai District, New Taipei City, Taiwan. 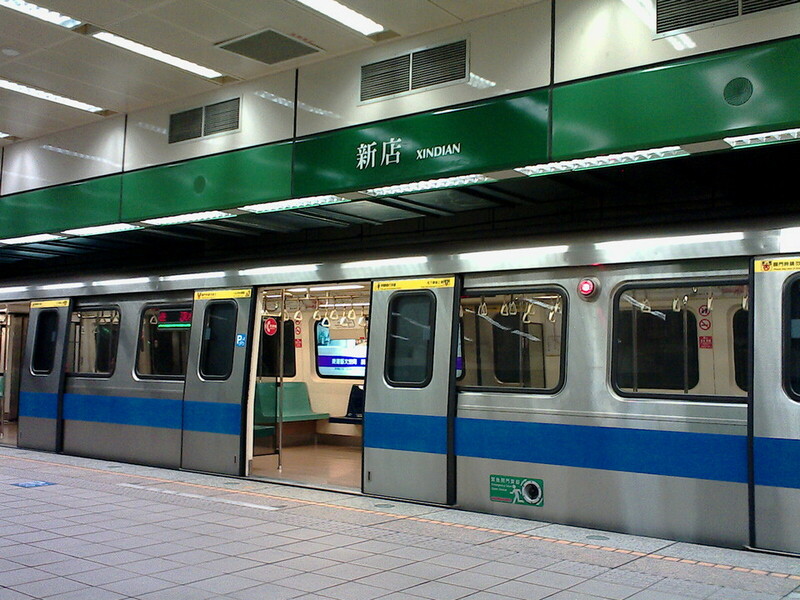 How to get there: From Taipei, take the MRT to Xindian Station. 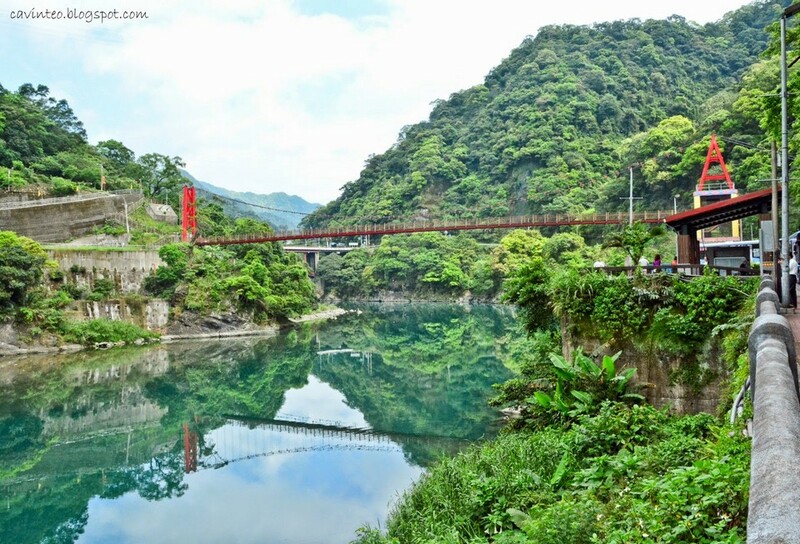 After that, take bus 849 to Wulai from Xindian. 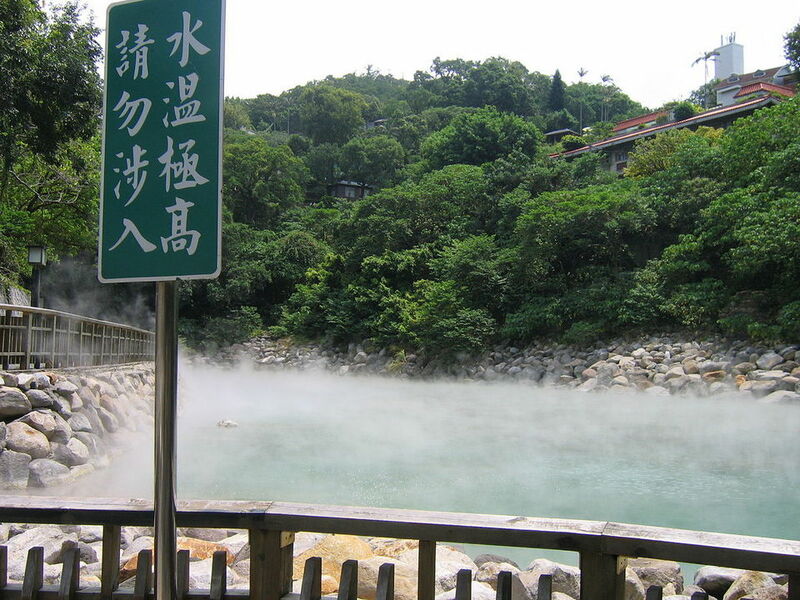 The source of the hot spring water in Lushan. 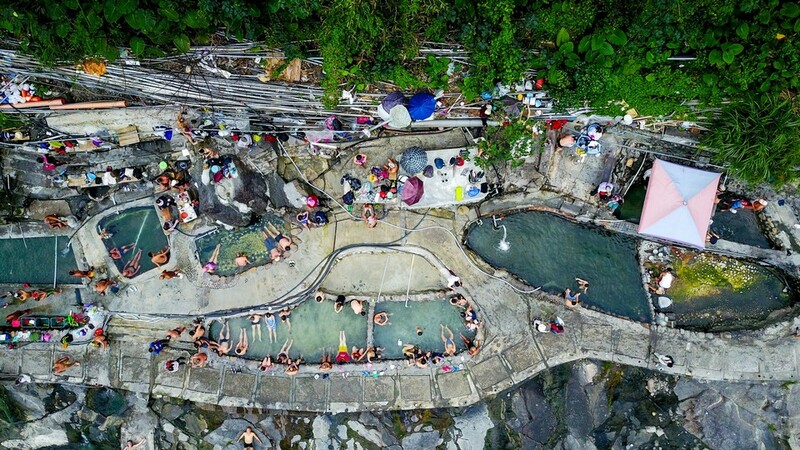 Lushan is one of Taiwan’s largest sodium carbonate hot springs and is also the highest altitude hot springs of the island (400m above sea level). 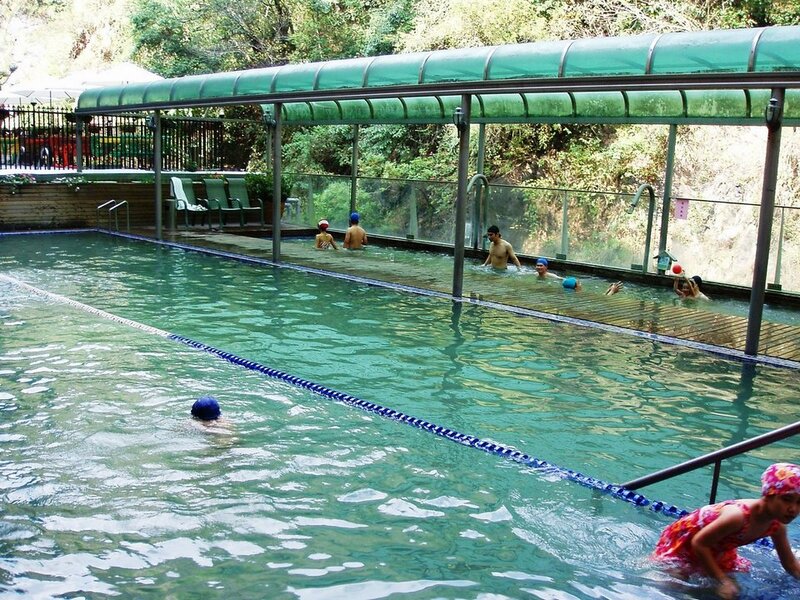 The water here is clear, colorless, odorless, people said that it is drinkable and especially the water temperature varies with the season. 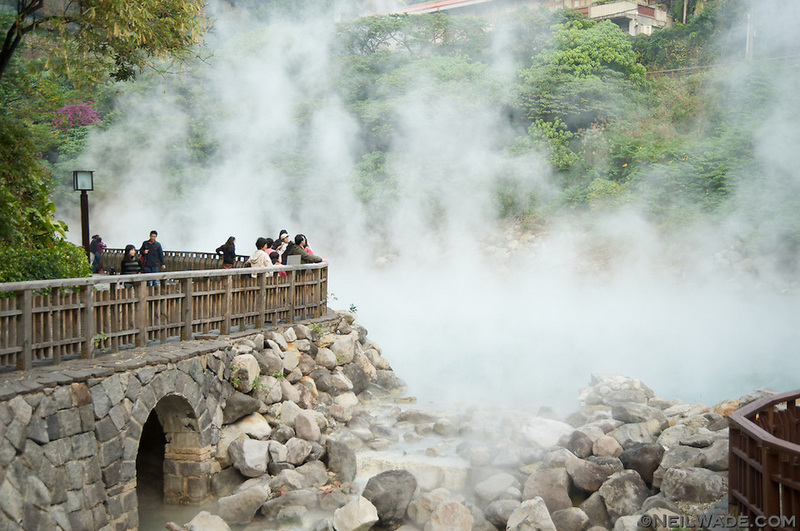 Not only the hot springs, but visitors coming to Lushan also have the opportunity to enjoy the beautiful natural sceneries such as cherry flowers, maple leaves … when they are in season. 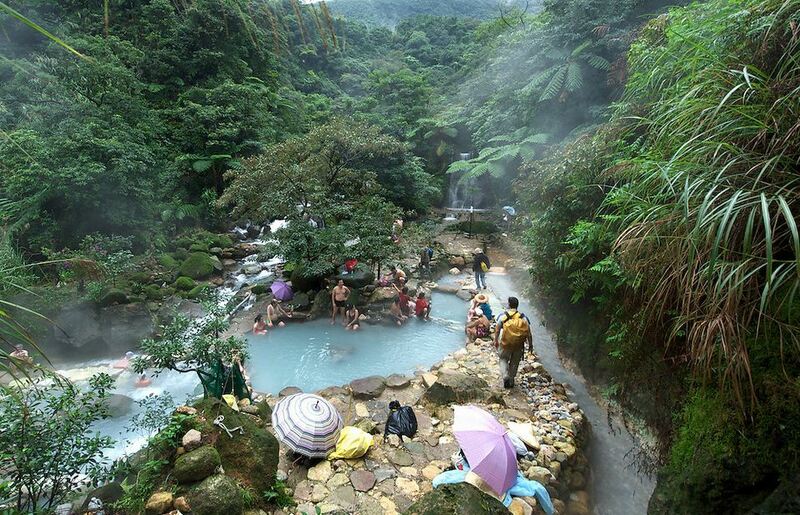 What is more, there are also small water lakes for visitors visiting Lushan – Taiwan to boil the eggs. 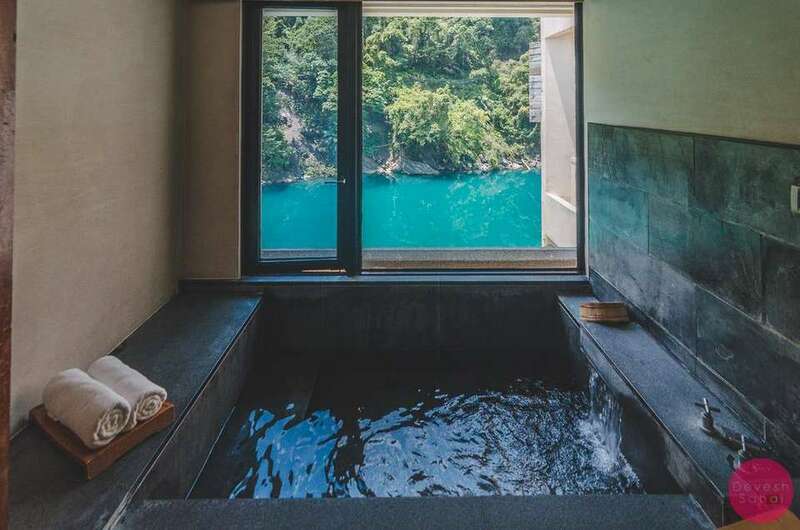 That sounds good, isn’t it? 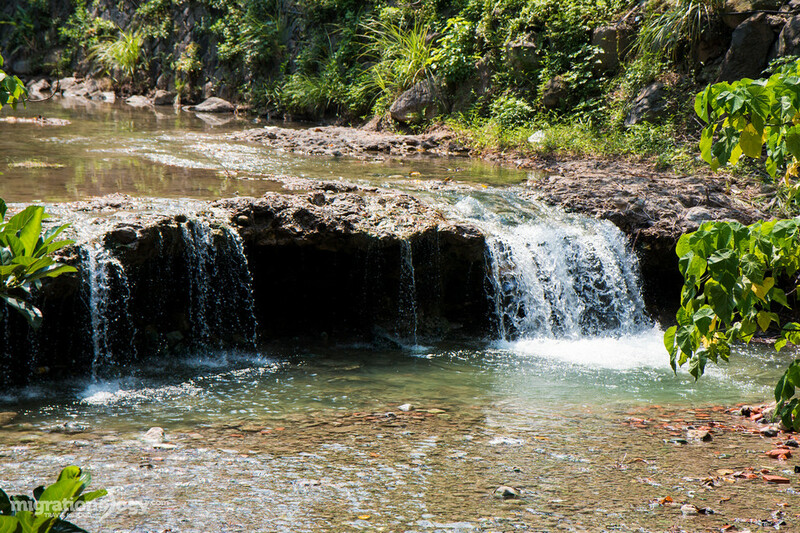 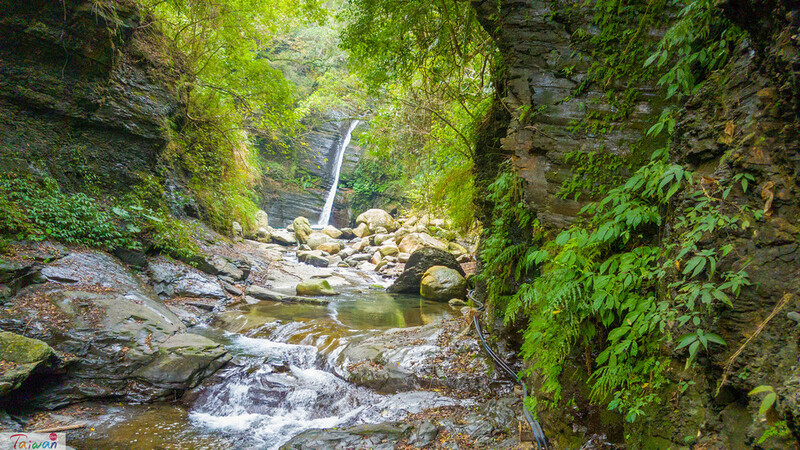 Lovely Qunyang (‘spring sun’) Waterfall lies in a gorge above Qunyang Hot Spring. 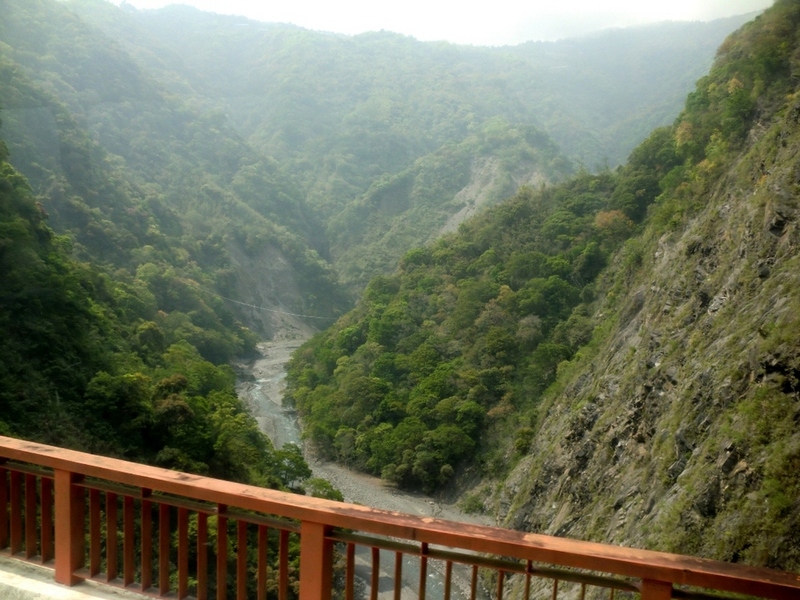 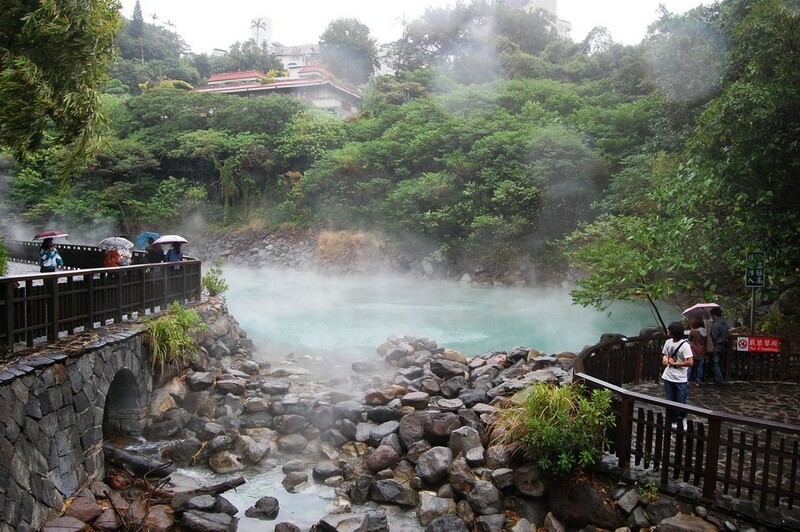 Picture: best onsen in Taiwan blog. 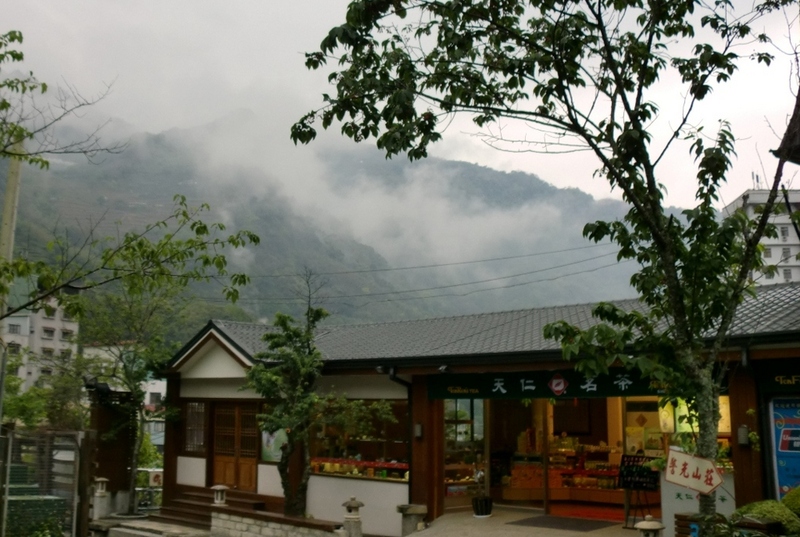 How to get there: Take the Kou Kuang bus (國 光 客運) to get to Nantou (南投), get off at Lushan station (廬山 站).